The CX-1000 combines our patented capacitance sensor with industry-leading software to give you plastic film thickness profiling resolution to one microinch. 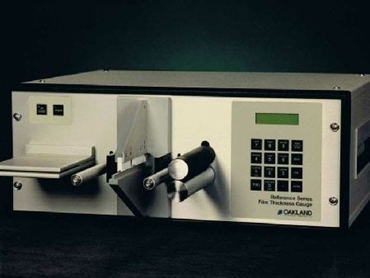 This gauge can be run as a stand-alone bench unit, or can be connected to a computer for RS-232 operation by our Model CX-1100 Quality Control Software. Capacitance measurement is industry-recognized as the best choice for off-line, high resolution, continuous gauge profiling for plastic films.